While you can learn common roller derby terms from the official WFTDA Glossary. if you are serious about getting into derby culture then you are also going to want to learn how derby girls talk. And that demands a knowledge of additional terms and roller derby slang. So, here is some roller derby lingo that WFTDA doesn’t cover. 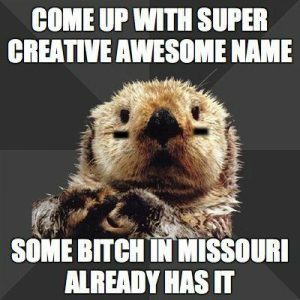 We have included derby slang, insider terms, lingo, and references that are a bit unconventional, but common among roller derby veterans. Bridging is a type of strategy that allows players to string out the pack and keep their players in legal play (“in play”). A bridge is accomplished by creating a link of teammates to connect everyone to the pack. Each player creating the link must be less than 10 feet from each other or they will break the link and the players furthest away will be considered out of play and unable to legally hit opposing players. Bridging works well when the jammer has pushed their way to the front of the pack, but may be still trapped by one or two opposing players. If the opposing team places one player within 10 feet of the pack, and those two players remain within 20 feet of that “bridge” or link, they remain in play. They can continue to block the jammer outside of the pack. If they exceed 20 feet, or if the bridge exceeds 10 feet from the pack, the link or bridge is broken. In this case, the players furthest away receive an out of play warning. When this happens, they must return to the pack or they will be issued a penalty. This gruesome term refers to swallowing up a jammer that has already escaped the pack or passed all of the opposing blockers. It often occurs when one of the blockers in the back of the pack, that has already been passed, skates to the front of the pack. This move blocks or stalls the jammer as they exit the pack. 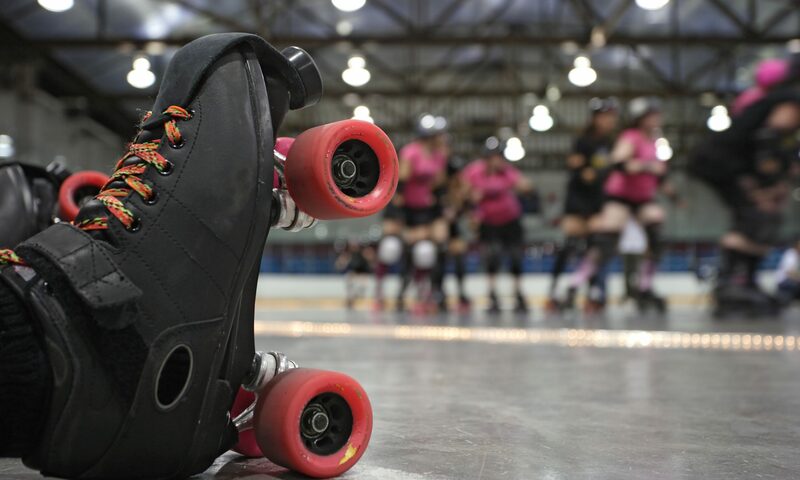 If the jammer is stalled successfully, the rest of the pack is able to skate up to the front and resume blocking her. This maneuver is often mentally and physically debilitating to a jammer as they have just exited the pack and now must do it again in short succession. A new skater that hasn’t passed their minimum skills test yet and is not eligible to bout with their league yet. May also be referred to as “fresh meat”. When a wall of blockers successfully contains a single opposing player. This wall of players is now considered the pack and can control the speed of the game. A Goat is the person who is caught on their own behind the wall. When a jammer successfully laps the other opposing jammer. For this move, they are awarded 5 points for their pass, instead of the normal 4. A form of assist where a skater — usually the jammer — grabs a teammate’s hips to catapult herself forward. NSO means Non-Skating Official. This person is instrumental in making the games run smoothly. Examples of an NSO include jam timer, scorekeeper and penalty box manager. What a skater has when she is pregnant and unable to play derby. When a skater uses his or her body to get in the way of another skater instead of physically blocking them with a hit. When a blocker or blockers rotate through the pack (forward or backwards) to continuously block the jammer. Just when a jammer thinks they have made it through the pack, a blocker has recycled up to stop her/him. A burn injury caused by (bare) skin rubbing the rink floor. A skating maneuver used to slow down or stop. The skater widens their stance with their toes turned inward. Often an effective blocking maneuver used to slow the jammer down instead of knocking her down. A technique for slowing down or stopping. The player drags one skate behind the other to form a T shape. If a skater is seriously injured or remains down on the track for an extended period of time, it is considered appropriate for all skaters (on or off the track) to take a knee. until the injured skater is upright. A skating maneuver that involves two skaters working together. One is behind the other using his teammate’s hips to pivot back and forth similar to a semi-truck and trailer. This is an effective defense and offense technique. A stopping maneuver where the skater reverses the direction they were skating (e.g. going from forward facing to backwards). They then uses their toe stops to stop moving. At the end of the stop the skater will be facing the opposite direction of when they started. This is a roller derby term that describes when two or more skaters skate together to form an obstruction to the opposing team. This move is called a wall. A nickname for a referee (skating official).